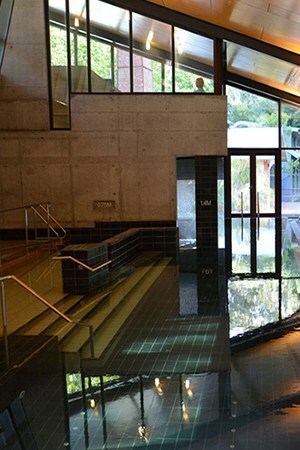 Nestling near Daylesford in Victoria, 90 minutes drive from Melbourne, the Hepburn Bathhouse and Day Spa is proud of its 114 year old tradition of healing with natural mineral water. It actually has the claim to fame of being Australia’s oldest mineral spring bathhouse, having opened back in 1895. 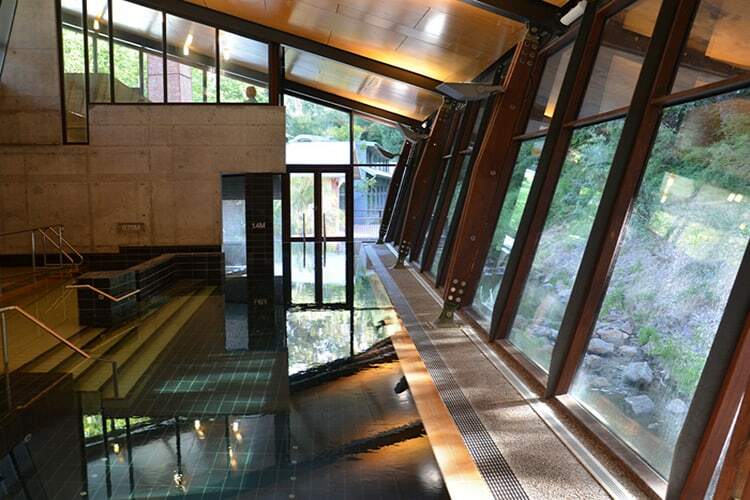 It recently re-opened following a pretty spectacular $13 million refurbishment of the Bathhouse. The Bathhouse and Spa are actually separate nowadays and to really appreciate what this venue has to offer you have to true both. The way to do this is to spend your first hour enjoying the Bathhouse mineral waters before popping next door to the Spa. I wasn’t intending on visiting the mineral baths at Hepburn Bathhouse & Spa but a surprise visit to Daylesford and bad weather meant there was little else to do. Putting new meaning to taking a bath on a rainy day, The Sanctuary might have been the best part of my accidental holiday. Providing traditional communal bathing, Hepburn Bathhouse & Spa is said to provide healing properties through its warm mineral waters. For a small price you can upgrade to The Sanctuary, granting you access to the Salt Therapy Pool, Spa Couches and Aroma Steam Room, however; bookings are recommend to ensure ultimate peace and relaxation with only a handful of other guests. Then again, if you’re looking for something a little more invigorating then a deep tissue massage in the spa pool from powerful jets might just do the trick. Yet another delight the Spa has to offer is the aroma steam room and salt water therapy pool (which induces a wonderful sensation of weightlessness). Afterwards enjoy the warm downpour from the monsoon shower. 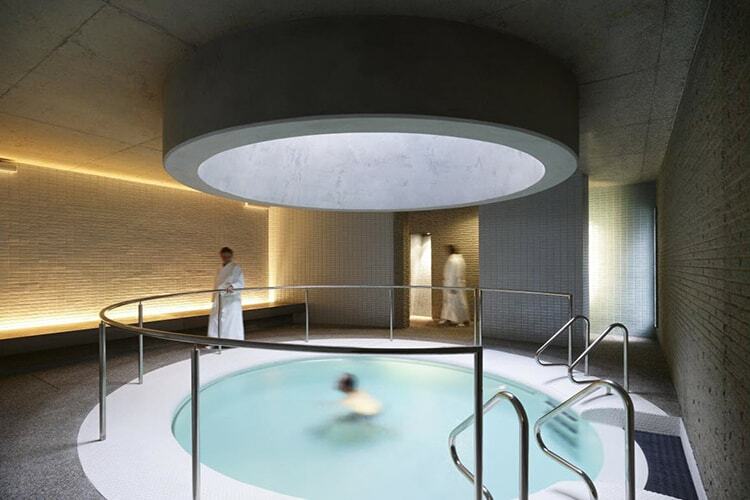 The Spa is huge and houses up to 30 individual treatment rooms. There is a huge selection of massages, private bathing and beauty sessions to choose from. Luxury products you can choose from here include those by Sodashi, Thalgo and La Gaia. Stunning views of the surrounding stream are provided in The Bathhouse, Spa Couches and Relaxation Deck if you can manage to leave the Salt Therapy Pool that sits at an idyllic 35°C. Said to alleviate and aid in recovery from symptoms of asthma, migraines, tension headaches, insomnia and arthritis the pool with it’s overhead skylight is utterly relaxing. Before embarking on your treatment make sure you enjoy a cup of tea in the Relaxation Room (the original bathhouse) where you can relax with a magazine. You can also fill out your admission form here, where you can state how much pressure you’d like the therapist to apply during your massage and if there are certain areas of your body you’re having pain or stiffness in and would like them to focus on. Possibly the most popular treatment in the Spa is the private bath (or semi-private since you can enjoy it with a friend or partner too). 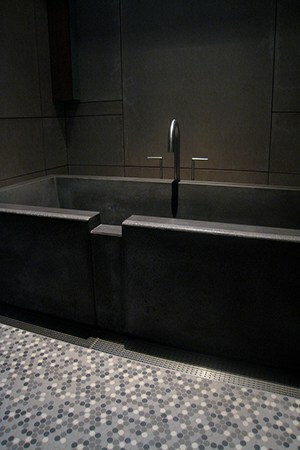 This involves the pouring of mineral water into large cement baths together with some oil or herbs (30 mins costs $65). Afterwards a body wrap is a must (90 mins at $190). 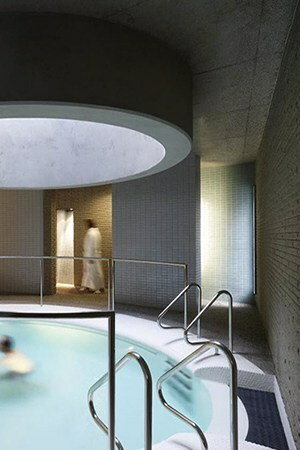 You could then go back to the Bathhouse (60 mins for $70) and return to the Spa for a herbal tea and fresh fruit. 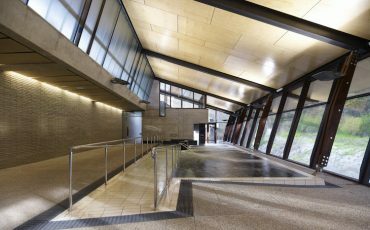 The Mineral Stone Sauna is pretty unique attraction offered here at the Hepburn Bathhouse and Day Spa and involves dipping flame-heated stones into cold water every 15 minutes to allowing your body to slowly acclimatise. Eliminate toxins in the Aroma Steam Room that utilises different essential aromatherapy blends throughout the day, rinse off in the rain shower and emerge from the waters in an improved state of mind. For half the price and double the length of time of a standard massage, you leave feeling equally – if not more – at peace.